Having been looking for a little while for a dead simple and intuitive tool I can use for project planning while setting up and managing my site I was really excited to come across something called Trello. My desk was becoming increasing cluttered with flip chart sheets, complicated mind maps and rapidly expanding lists of to-dos (I’m a compulsive list writer). Clearly I needed to get a grip and amalgamate this lot before it swamped my thinking. So this week I decided to put aside a day to do a bit of research and find a tool that could sort all these bits and bobs into a marvelous all conquering Project Plan. I work alone so it’s only for managing myself. In summary: an action planning/time management/scheduling tool that I can use for planning the set up and ongoing development and administration tasks related to my site. It should allow for sorting short, medium and long term tasks, and also set up weekly and monthly repeated tasks. It should show me what I’m supposed to be doing today and this week. It should be able to accommodate potentially hundreds of tasks. It should be easy to edit and to drag and drop tasks around between timescales. It would need to be accessible from my pc and ipad. It would allow me to download and/or print the outputs. 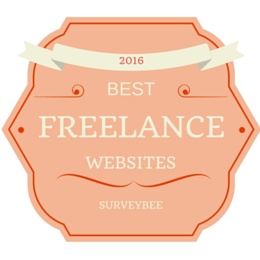 It should look easy on the eye – uncluttered, uncomplicated and not like a load of accounting spreadsheets. Oh, and it should be either free or very cheap! I tried out a few tools, which may become the subject of another post when I get chance, but my instant favourite as soon as I started looking at it was Trello. With this you basically create ‘boards’ which contain ‘lists’ of ‘cards’. Each card describes a task to which you assign a due date and describe the activity in as much detail as you like, adding attachments, links, images or whatever as you wish. Within a card you can create subtasks or checklists which you then tick off and a progress bar will show how well you are progressing with the task. The card automatically shows your edit history and you can add in information about actions you’ve taken to progress the task. The ‘lists’ are really just headings under which you can place cards. So in my case this would work best as separate lists for each timescale (such as urgent, medium term, longer term, daily, weekly, monthly). Tasks can be moved between the lists as they become more or less urgent etc. You can easily drag the card to a different list or different position in the list. I could also if I wish create two separate boards, one for one-off tasks and one for regular ones. Cards can be moved between boards. When completed cards, lists or boards can be archived but easily resurrected if they need to be repeated. You can also colour code tasks so I could for instance show design tasks in one colour and content development tasks in another. Then you can filtering cards by their colour group so you can display just tasks of specific types. A calendar view shows tasks due on weekly or monthly calendars. I worked out that I can show regular tasks on the calendar just by changing the due date each time I complete it. 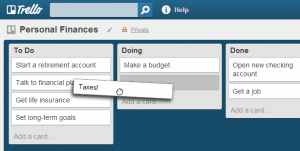 Trello is an online service which you log onto via an extremely easy to create account. They only asked for an email address to get it going. It is accessible from PC, ipad and mobiles via various apps. For the PC there is no software to download and nothing to take up space on your computer. Of course it being completely online has the drawback of it being inaccessible if I’m offline (which happens fairly frequently because of my rubbish internet provider). It’s possible to download the data to excel using a chrome extension but not to download and run the actual programme offline. If you work as part of a group you can all have access to the account and view or edit the boards depending on what your main administrator allows. It also has a couple of additional features I found very cute. An ‘aging’ function makes the cards appear gradually older and more ragged if you don’t do anything with them for a while, and there’s a collection of ‘stickers’ you can use to draw attention to cards in various ways. The only drawbacks I’ve found so far are that you can only create 6 labels/colours per board so you have to be careful in the categories you choose. And if you’re into Gantt Charts, there’s no function that can show your tasks in that sort of format. Overall then, it’s extremely easy to use, it looks great, and it’s pretty much got all the project and time planning functions I need for developing and running my website. What’s more it’s FREE! You only need to pay if you want to upgrade to the ‘Business’ version (not sure what the difference is because I don’t need it).